CGR is set to expand its ICE premium large format (PLF) and has announced three Hollywood titles. At the just-concluded FNCF French cinema convention in Deauville CGR demonstrated its ICE premium cinema concept featuring Philips’ LightVibes in a small booth. The demo was impressive, showcasing a mix of film clips (“Valerian”, “Kong: Skull Island” and event cinema content) and the technology is now a serious rival to Barco’s Escape and CGV’s ScreenX. The LightVides are rectangular panels on the side walls with self-illuminating patterns displayed on them that mirror the action, colour and images on the screen. While the light and colour scheme has to be authored for each film or piece of content, it does not require the creation of a dedicated DCP as the system acts like a Shazam that ‘listens’ to the audio stream to sync the light show to what is on the screen. When not illuminated, the panels are dark and do not reflect ambient light back onto the main screen. 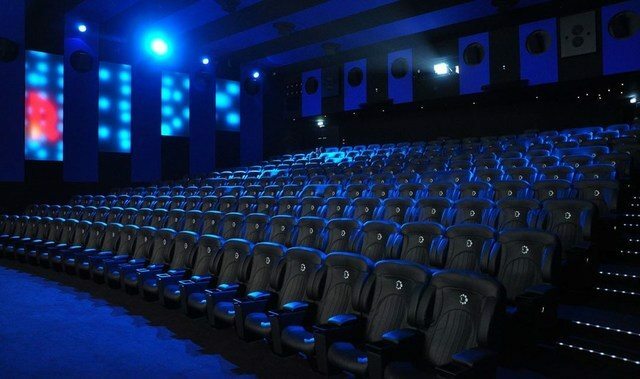 CGR is very happy with the results from the first film and have announced that they will expand from the present eight to 14 screens, with the additional six screen in place before Christmas. The independently operated Majestic cinema in Compiègne will be the first non-CGR to cinema to feature the format, branded as ‘ICE by Majestic’. This article by Le Figaro reveals that 20% of the box office of “Valerian” (which did well in France, unlike everywhere else) came from the eight ICE auditoriums where it played. The exhibitor charged 15 euro for standard tickets, 11 euro for under-26 year old and 10 euro for corporate group tickets. The film was said to be sold out from morning to late evening shows and also played for six weeks in ICE auditoriums, compared to just three in most other cinemas. As well as the LightVibes ICE auditoriums feature Dolby Atmos sound, DK speakers, 9P 4K laser projection and special recliner seating, as well as auditorium design. The head of CGR Jocelyn Bouyssy says that the idea for the ICE came to him when he got tired of paying royalty fees to Imax. It was a year and a half ago in Los Angeles. I decided that we were going to build a new concept of a premium room in our workshops in La Rochelle from A to Z, where we already manufacture all our crates and confectionery counters. CGR has convinced Hollywood studios to not just release films in the LightVibes format but to allow the authoring to take place in La Rochelle. Stéphane Huard, president of Sony France was able to convince his bosses in Colver City to commit to two films in 2017 and at three in 2018 – though it seems that the rumoured LightVibes release of “Bladerunner 2049” is not happening. Instead the next film will be Warner Bros’ “Geostorm”, SPE’s “Jumanji: Welcome to the Jungle” and the new “Flatliners”. Universal is also said to have committed to releasing films in the new format. Currently the CGRE ICE cinemas are showing “Le Petit Spirou“ though without LightVibes. 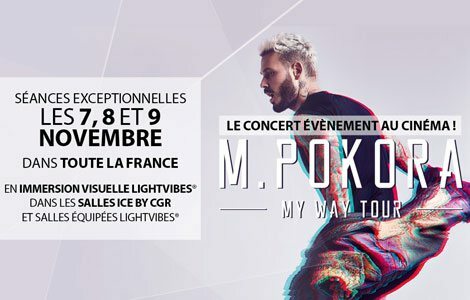 Most immediately up will be trailers and adverts using the LightVibes format and an event cinema concert by Matt Pokora 7, 8 and 9th November. The Mega CGR Minimes in La Rochelle (Charente-Maritime) also got an honourable mention at the FNCF second annual awards for cinema innovation. While it is not a direct competitor to Ymagis’ EclairColor, which was also showcased at the FNCF convention (in theory the two concepts could work in tandem), it is clear that the PLF field is becoming crowded. However, it remains to be seen which other cinema operator will launch a ICE/LightVibes offering inside and also outside of France.